[post_ads]Nopparat Khanthavong, the 37-year-old head coach of the Moo Pa (Wild Boars) soccer team, had an appointment that morning. Ekapol Chanthawong, his assistant, was to take the younger boys to a soccer field nestled by the Doi Nang Non mountain range, a formation with numerous waterfalls and caves that straddles the Thai-Myanmar border. Efforts underway to extract the boys have involved a swelling team of thousands of divers, engineers, military personnel and volunteers from all over the world — including Elon Musk’s SpaceX — with no clear plan in sight. Diving, the most probable method, is seen as too risky for now given the boys’ lack of swimming experience, pitch-black muddy waters through narrow passageways, and the death this week of a retired Thai Navy SEAL who was among those readying the cave for the boys’ dive. Engineers have been searching for a way through the mountain’s surface, hoping to drill down and reach them within the cave, but acknowledge it could take months and alter the cave’s geography in the process. 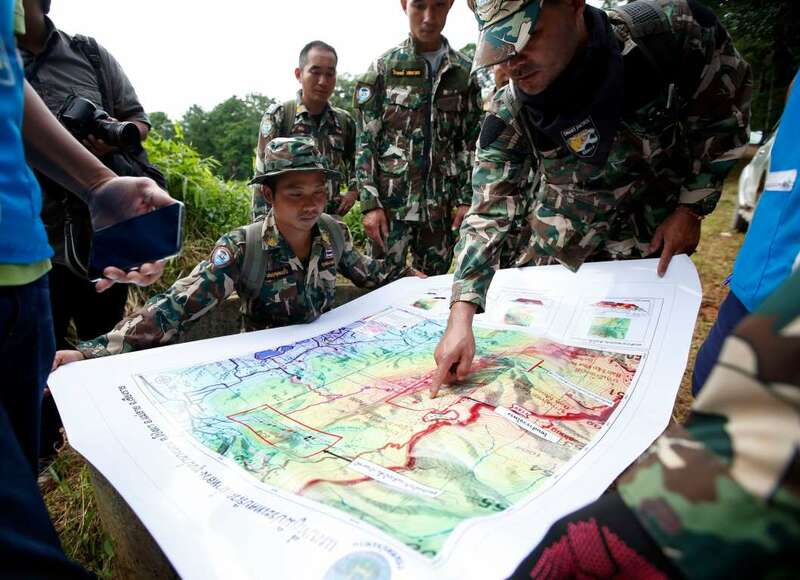 As the rush to figure out how to rescue the group continues some have chided Ekapol for leading the team into the cave. A large warning sign at the cave’s entrance raises the risk of entering so close to the monsoon season, they say, and he should have known better. According to rescue officials, he is among the weakest in the group, in part because he gave the boys his share of the limited food and water they had with them in the early days.He also taught the boys how to meditate and how to conserve as much energy as possible until they were found. Information had slowly started to come out about the boys’ nine-day ordeal before they were eventually found on Monday night, through letters and limited communication between the coach, the team and the rescuers who have been with them in a small cave chamber. The rush of euphoria that ran through the town of Mae Sai and across the world when the group was found has settled into a grim reality that neither Ekapol nor the 12 in his care may see daylight for days or even weeks. Officials said Saturday that they have about a three- to four-day window in which conditions will be “most favorable” for the boys to attempt to dive out before monsoon rains hit and continue for months.